New item in original packaging. 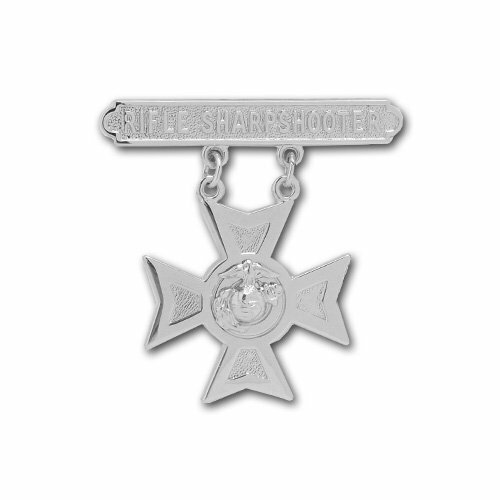 United States Marine Corps (USMC) qualification badge rifle sharpshooter. Service rifle, scores range from 280-304 for Sharpshooter. Length 1-15/16" Height 1-15/16"